Eric Hedekar, from Moz, formerly from getSTAT, said he is seeing a huge surge in the number of times this box has come up in the Google search results over the past couple of days. He said on Twitter "We're seeing that advert box show up on ~120K (and growing) SERPs with unrelated non-veteran job searches. Roughly 50K new SERPs per day since Friday." 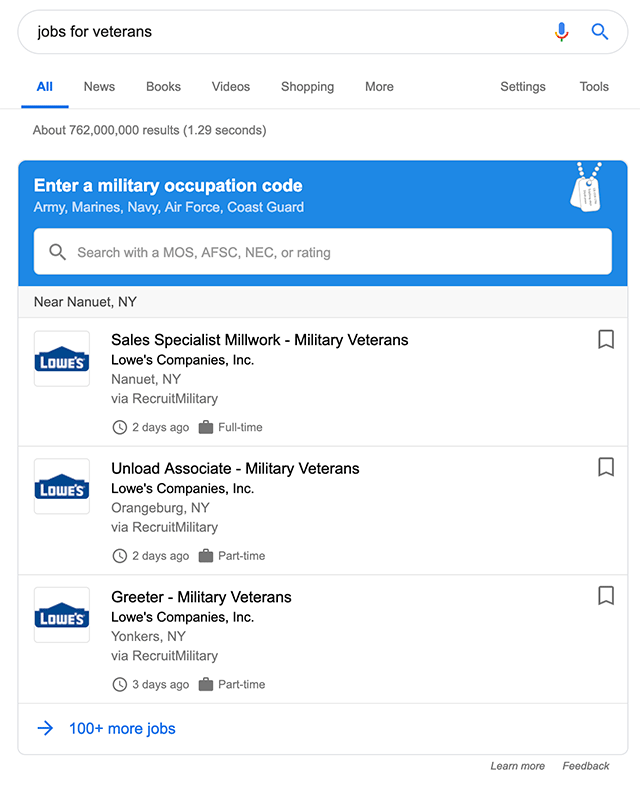 Now, I don't think the veteran job search feature is new, but Google promoting it may be.